Popular with both foodies and health food addicts alike, coconut oil goes beyond doing wonders in the kitchen; it also has amazing properties for your skin and hair. If you think your hair is sun damaged, dull, brittle, flat and/or full of split ends, you need a super coconut oil hair mask. 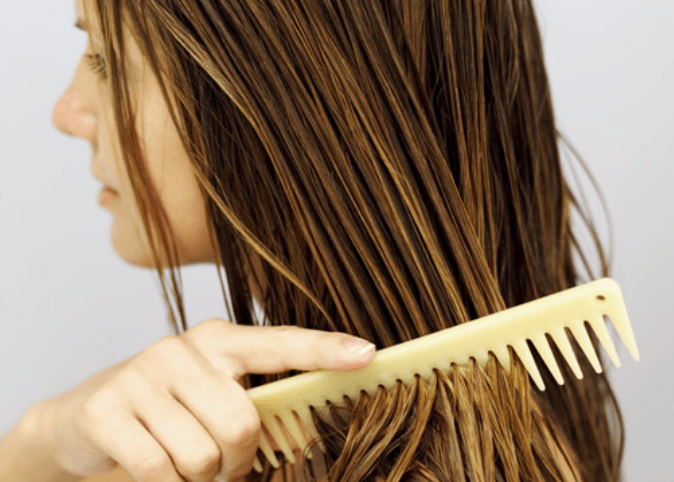 In minutes you’ll have nice and shiny healthy hair! 1- It penetrates your hair’s shaft, in addition to sealing the surface: most oils seal the surface, but fail to moisturize your hair’s shaft. 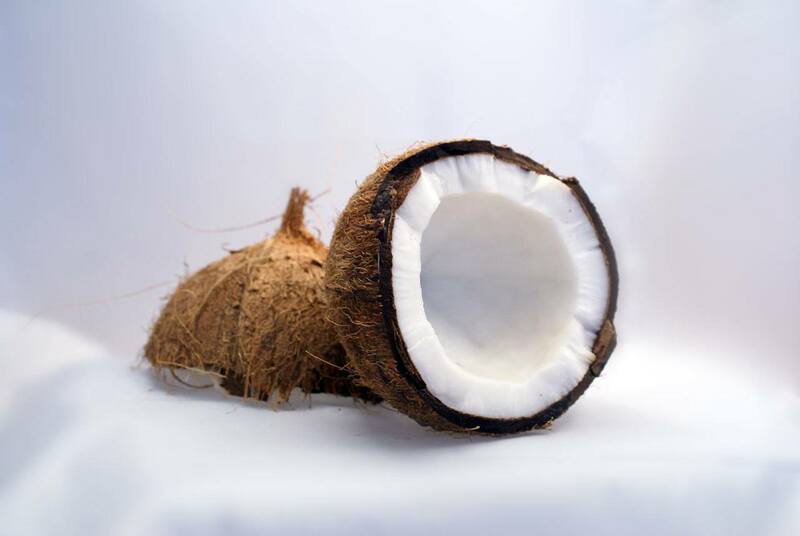 Coconut oil has low molecular weight that nourishes your hair from within. 2- It softens dry hair: a little coconut oil is used as “silicone” to soften and remove the frizz without weighing it down. 3- It seals scales: coconut oil covers your hair with a protective layer that fights static. 4- It increases shine due to the large amount of fatty acids, it rebuilds and strengthens your hair to help fight damage caused by external agents. 5- It improves hair growth and the secret is to use it every week. Apply coconut oil by massaging it into you scalp and leave it on for about half an hour. 6- It is good for all hair types. It hydrates and nourishes dry and chemically treated hair, and also regulates your hair’s oil and pH. 8- It is antibacterial and antifungal, which means that it helps treat dandruff and seborrhea. 9- It is rich in essential nutrients for healthy growth such as vitamins E, K and iron. 10- It is easy to find in stores and is affordable. 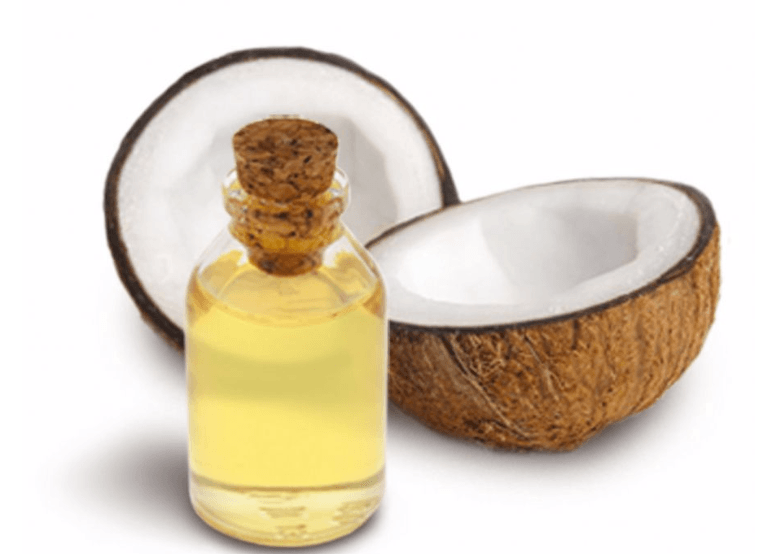 How to use the coconut oil in your hair? Apply all over your hair, from roots to ends. Massage well into your scalp and then wrap your head in a warm towel. Leave it on for 30 minutes. Best before showering, then wash hair as usual. It is important to wash your hair in order to avoid greasiness, especially if you have fine hair. The result? You’ll love it, it is much better than you expect! Your hair will be super hydrated and have more volume and flexibility. It will be beautiful, as if you just came from the salon. Super moisturized and structured ends. In our opinion, if we had to choose between moisturizing once a week at home with a conventional mask or a pure oil, we’d choose the oil. Often moisturizing masks that they sell in supermarkets don’t offer deep moisture, they just mask the problem. Try it at home, but remember to buy only 100% coconut oil, not mixed with any other ingredient. And for those of you who haven’t tried or seen it, coconut oil is transparent, and at temperatures below 24° C, it solidifies and looks like a white mass. This is a must-buy; this product has thousands of uses in the areas of health and beauty, it’s worth the investment. Although heat is essential for coconut oil to penetrate your hair better, avoid the sun while you have it on your hair, because as any oil can “fry” your hair. 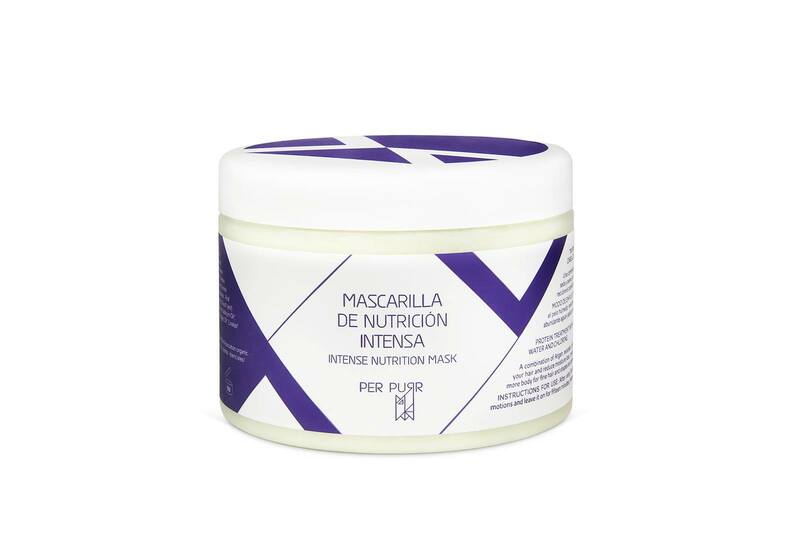 We highly recommend that you also try our intense nourishing mask, which is composed of a combination of silk protein and oats, which reduces moisture loss and forms a protective film, in addition to defining and volumizing hair. ARE YOU INTERESTED IN NATURAL SKINCARE PRODUCTS? JOIN OUR NATURAL WORLD!